More young people are drinking themselves to death, according to a new study. Deaths linked to the end stages of liver damage jumped by 65 percent with alcohol a major cause among adults aged 25-34, according to the US study. Liver specialist Elliot B. Tapper, M.D., says he’s witnessed a disturbing shift in demographics among patients with liver failure he treats at Michigan Medicine. National data collected by Tapper and study co-author Neehar Parikh, M.D., M.S., confirms that in communities across the country more young people are drinking themselves to death. The data published in the journal BMJ shows adults aged 25-34 experienced the highest average annual increase in cirrhosis deaths—about 10.5 percent each year. The rise was driven entirely by alcohol-related kuver disease, the authors say. “Each alcohol-related death means decades of lost life, broken families and lost economic productivity,” says Tapper, a member of the University of Michigan Division of Gastroenterology and Hepatology and health services researcher at the U-M Institute for Healthcare Policy and Innovation. The rise in liver deaths is not where liver specialists expected to be after gains in fighting hepatitis C, a major liver threat seen often in Baby Boomers. Antiviral medications have set the course to one day eradicate hepatitis C.
Cirrhosis can be caused by a virus like hepatitis C, fatty liver or alcohol abuse. The increase in liver deaths highlights new challenges in preventing cirrhosis deaths beyond hepatitis. “We thought we would see improvements, but these data make it clear: even after hepatitis C, we will still have our work cut out for us,” says Tapper. That mortality due to cirrhosis began increasing in 2009—around the time of the Great Recession when the economic downturn led to loss of people’s savings, homes and jobs—may offer a clue as to its cause. “We suspect that there is a connection between increased alcohol use and unemployment associated with the global financial crisis. But more research is needed,” Tapper says. Cirrhosis caused a total of 460,760 deaths during the seven-year study period; about one-third were attributed to hepatocellular carcinoma, a common type of liver cancer that is often caused by cirrhosis, researchers found. In 2016 alone, 11,073 lives were lost to liver cancer which was doubled the number of deaths in 1999. 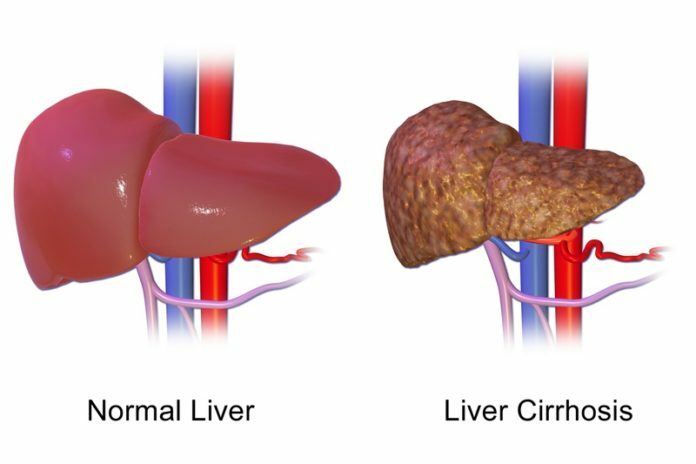 Researchers studied the trends in liver deaths due to cirrhosis by examining dwath certificates compiled by the Centers for Disease Control and Prevention’s Wide-ranging Online Data for Epidemiologic Research project. “The rapid rise in liver deaths underscores gaps in care and opportunities for prevention,” says Parikh, study co-author and liver specialist at Michigan Medicine. •	Fewer Asians and Pacific Islanders died of liver cancer. • It is hitting many places especially hard, namely Kentucky, Alabama, Arkansas and New Mexico, where cirrhosis deaths were highest. Deaths due to alcohol-related liver disease are entirely preventable, say authors who suggest strategies such as taxes on alcohol, minimum prices for alcohol and reducing marketing and advertising to curb problem drinking. Higher alcohol costs have been linked with decreased alcohol-related deaths. Most countries have no system in place for warning labels on bottles of alcohol. Some places, such as BC, actually sell alcohol in government owned liquor stores.